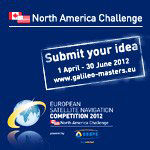 The European Satellite Navigation Competition (ESNC) has gone Big Time. 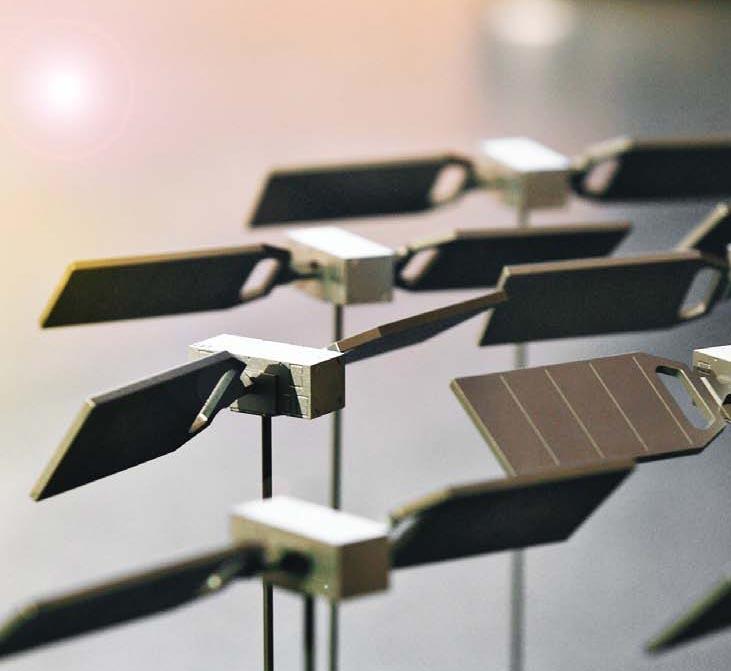 Unlike past years, when product designers and engineers from small- and medium-sized enterprises (SME) have walked away with the top prize, this year’s overall winner was Airbus Defence & Space (Airbus DS GmbH), a division of the Airbus Group (formerly EADS). Headquartered in France and generating annual revenues of €14 billion, Airbus DS was established last year by the merger of the parent company’s Airbus Military, Astrium, and Cassidian units. Plenty of entrepreneurs and small firms appeared among the special and regional prizes, however. In receiving the top prize, Airbus DS engineers Wolfgang Kogler and Jan Wendel were cited for their development of a low-cost Galileo Public Regulated Service (PRS) receiver. According to ESNC judges, the core innovation involves the development of a special network architecture that combines the receiver with an assistance server, thus enabling military forces and public safety organizations such as police departments, fire brigades, and emergency medical services, to make use of the encrypted PRS signal. The concept accounts for all the required security aspects and significantly reduces costs and the complexity of user receivers, thus facilitating broader use of PRS in the realm of public security, according to the ESNC announcement. In addition to the €20,000 grand prize and an incubation package sponsored by the Bavarian Ministry of Economic Affairs at Anwendungszentrum GmbH Oberpfaffenhofen (AZO) valued at €25,000, the Airbus DS entry took home Bavaria’s regional prize (including €10,000 in cash), and the ESNC’s special PRS prize (€5,000 cash), which was awarded by Germany’s Federal Ministry of Transport and Digital Infrastructure (BMVI) and Federal Ministry for Economic Affairs and Energy (BMWi). EADS Astrium has a long history with the Galileo program, among other ventures having served as the primary partner in the consortium that built the Galileo in-orbit validation (IOV) satellites that comprise part of the European GNSS constellation. Over the past decade, the ESNC has highlighted numerous new applications in the field of satellite navigation. The 2014 edition was shaped in particular by the anticipated launch of the first Galileo services — delayed most recently by an errant launch of the first full operational capability satellites in August. More than 40 percent of the 434 submissions received from more than 40 countries proposed to employ Galileo/EGNOS in their products and services. “Thanks to our international network, we’re in an excellent position to take advantage of Galileo’s operational launch," affirmed Thorsten Rudolph, managing director of Anwendungszentrum GmbH Oberpfaffenhofen, which initiated and continues to organise the ESNC. Along with the overall winner, 240 experts in the ESNC’s network of judges selected more than 30 other winners in the competition’s regional and special-prize challenges. Under the patronage of Germany’s Federal Minister of Transport, prizes worth a total of around €1 million were presented during the first Satellite Masters Conference in Berlin, held October 23–24 at the Berlin headquarters of Deutsche Telekom. European GNSS Agency (GSA) Prize (for the most promising application idea for European GNSS): Giovanni Arturo Vecchione, Pedro Silva, and Antonio Fernandez, Deimos Space, Spain; Galileo for ARA/A New Galileo Module for the ARA Platform. The Galileo for Google’s ARA module will use a key feature of Galileo — its E5 broadband signal — to support development of smartphone applications that require high accuracy. European Space Agency (ESA) Innovation Prize: Kristoff Van Rattinghe, Laurence Claeys, Johan Criel, and Koen Van Vlaenderen, sensolus, Belgium, “The Next-Generation Location Tracker – Just stickNtrack.” Designed for tracking trailers, containers, machinery, tools, bikes, and other items, stickNtrack functions for up to 10 years without needing to charge batteries, manage SIM cards while consuming up to 40 times less power than existing products. Also won the Flanders/Belgium regional prize. DLR (German Aersopace Center) GNSS Reloaded – Applications in Context, Michal Rutkowski, Poland, “SBAS Retranslation/Pseudolite System for Precision Approach and Air Navigation.” This artificial ground-based solution is designed to significantly boost the coverage of satellite-based augmentation systems (SBAS, such as EGNOS) to ensure safe landings on all airport runways. University Challenge — sponsored by the GNSS Research & Applications Centre of Excellence (GRACE) with the support of the FP7 project GENIUS (GNSS Education Network for Industry and UniversitieS), Awapatent AB, and the Satellite Applications Catapult: Peter Zentgraf, Peter Viehhauser, Martin Heigl, Andreas Bernhardt, Ralf Hager, Martin Kucich, Martin Angermeier, Christopher Wolf, Stefan Zagler, Manfred Usyk, Guenter Lechner, Kurt Fischer, and Georg Vogl, University of Applied Sciences Rosenheim, Germany, “Hail Navigator and Precipitation Reporting System for Hail Suppression Aircraft.” Designed to reduce damage caused by hail, the system combines navigation with a precipitation reporting system that can guide pilots to the optimal locations for their hail suppression missions. GNSS Living Lab Prize: Adrian Kyle Blackwood, Steven Wood, and Michelle Chang, trakkies Research BV, The Netherlands, “EGNOS & the REAL Internet of Things (IOT).” This start-up company has developed IOT nodes with ambient intelligence, a smartphone app, and a back-end cloud system for providing helpful, intuitive services and interacting with people, places, and things. Furthermore, trakkies has designed a novel small-data mechanism that identifies individual people, places, and objects and uses EGNOS signals to create smart location references. A complete list of regional competition winners and further details on all the award-winning innovations can be found on the ESNC website.